Simple Mics | Modifying a Revere T-100 for a harp amp? 25 Mar Modifying a Revere T-100 for a harp amp? I did a little light reading last night. 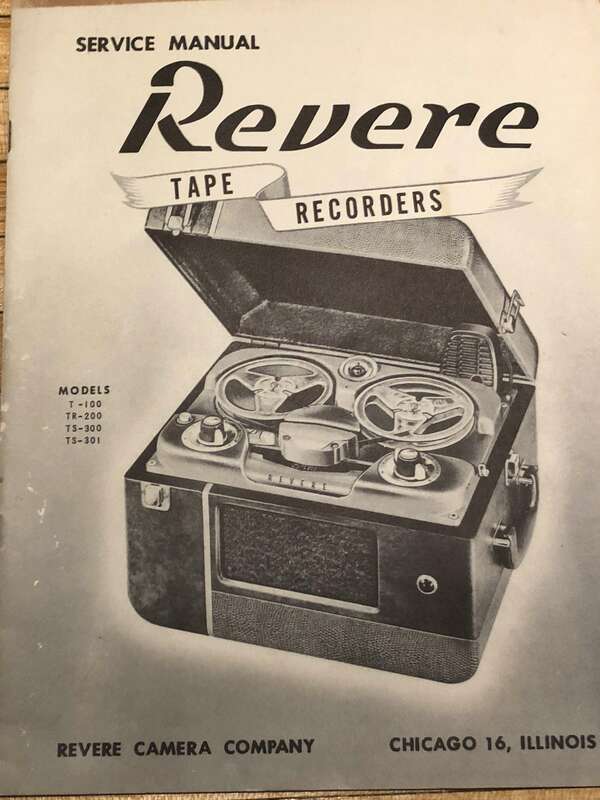 Picked up a 1952 Revere T-100 reel to reel tape recorder a bit ago. Along with it was the service manual explaining the machine from screw to tube. The case is lizard and leather. The tube compliment inside sounds pretty harp-friendly. I may make a stab at modifying the beast into a 5 watt practice amp. All suggestions welcome.